We've demonstrated the need. We've proved the concept. Our pilot activities were well received. Together, let's proceed! Last month, SCC's Leaders and Advisory Council initiated a strategic planning process for the upcoming academic year. 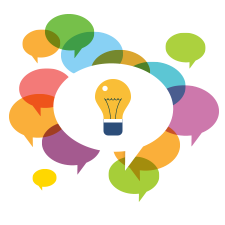 Now is an opportune time for you to share your ideas as we prioritize activities and resources for higher education sustainability curriculum and professional development in 2016-2017 and beyond. 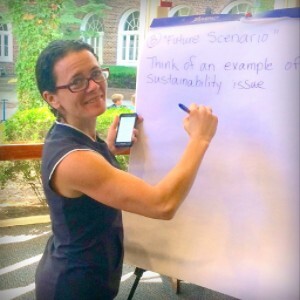 What is the biggest challenge you face as a sustainability educator? What do you need to support your work as a sustainability educator in terms of faculty and curriculum development? We will continue to ask these questions to ensure we are meeting the needs of teaching faculty in ESD. We strive to be responsive to the curriculum and faculty development needs of sustainability educators. ...pedagogy: What pedagogical challenges do you and your colleagues face in developing, delivering, and/or assessing sustainability curriculum? What do you envision in terms of a pedagogy that truly embraces the principles and practices of ESD in higher education? What will it take to address this? ...content: What ideas, processes, or skills do you wish were being taught that aren't? How could existing content be better connected, contextualized, or applied? What is critical for learners to understand now and in the future? ...leadership: What leadership values and practices are you seeking in your own ESD work? What do you want higher education leaders to know, and how do you see their leadership supporting the goals of ESD? In other words, we are looking to you, our colleagues in the higher education/ESD community, to help identify the issues, concepts, principles that are of most critical value for SCC to direct its focus in the coming year. Please send us your feedback, suggestions and questions by using the form on the CONTACT US page of the SCC website. SCC will continue with a full line-up of webinars, dialogues and master classes this fall. Your input will assist us in finalizing the scheduling of these activities, so please respond! a follow-up to the successful webinar series on ESD pedagogy led by Susan Santone and Jess Gerrior. To express your interest in receiving more details about this activity, please fill out this short sign-up form (for "SCC: more pedagogy"). a process to explore competencies in sustainability. We've lined up session leaders for this series which will discuss and critique the various available approaches for understanding competencies, for both academic and professional purposes, as well as the prospect for certification using standardized competencies. To express interest in receiving more details about this activity please fill out this short sign-up form (for "SCC: competencies"). an activity focusing on program and course design in ESD. We expect our session leaders with hand-on expertise to discuss the key issues in developing the 100 level course; the 200 level course; and the varied pathways employed by leading programs. To express interest in receiving more details about this activity, please fill out this short sign-up form (for "SCC: program/course design"). an activity that will provide an overview of approaches to teaching business and sustainability. Expert session leaders, including authors of college-level texts, will cover important lessons learned from sustainable business practices in corporate programs; environmental, social & governance (ESG) in the financial sector; and the dynamic between the public and private sectors. To express interest in receiving more details about this activity, please fill out this short sign-up form (for "SCC: business"). an activity exploring the innovations occurring in ESD at institutions of higher learning outside of North America. SCC has contacted innovators in academic programs from around the world who are eager to share their experiences and initiate a dialogue. To express interest in receiving more details about this activity, please fill out this short sign-up form (for "SCC: international innovations"). Finally, SCC will convene a faculty-only event in late spring 2017. The planning committee for this event is already in formation, and we in the process of selecting a venue. We are looking for individuals who have experience in planning, marketing and delivering academic institutes and/or conferences to join the planning team. The SCC faculty-only event will center around out three themes: pedagogy, content, and leadership. Our aspirations for the initial event are modest, but all teaching faculty in ESD understand the significance this much-needed step in elevating curriculum and faculty development. 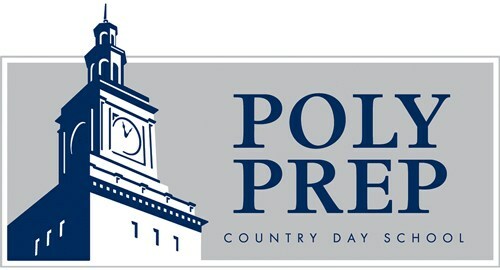 We urge all like-minded faculty to step forward and help us shape this important endeavor. Sendai Framework on disaster risk. SCC Director Ira Feldman has organized and moderated this dialogue to engage leading experts and stakeholders. This professional development offering is based on the premise that teaching faculty in ESD need to understand the fundamentals of these frameworks that will guide sustainable development for the next 15 years. Registration for this Online Dialogue is still open. You must register to participate in the online Q&A and the co-creation of the synthesis document. Process note: Registrants will receive an email before each webinar with GoToMeeting® access codes. Registrants will also receive a separate email invitation to access the Collaborase™ platform. If, after checking your spam folder, you do not find this invitation, or if you have any questions, please email us at curriculumforsustainability@gmail.com. 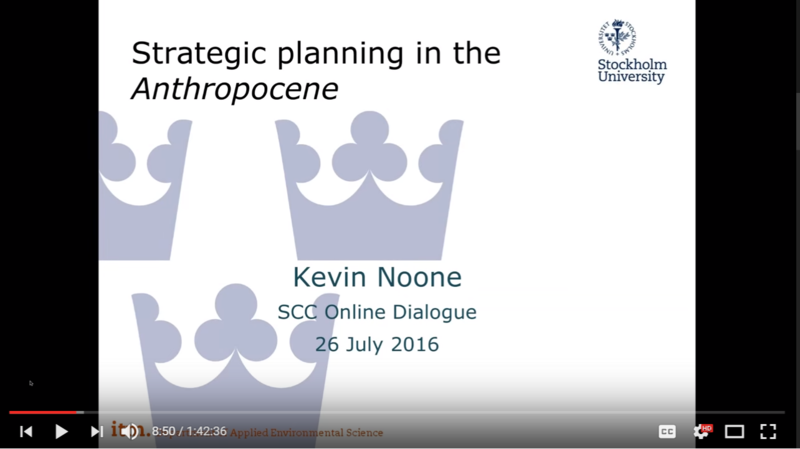 The first webinar in the current Online Dialogue (held Tuesday, July 23) covered the concept of “planetary boundaries” in the Anthropocene as a basis for understanding the new Sustainable Development Goals (SDGs). Presenters included Kevin Noone (Stockholm University), a co-author of the seminal Rockstrom planetary boundaries paper; Faye Leone (IISD), the content editor of Earth Negotiations Bulletin; and Ashwani Vasishth (Ramapo College and SCC Advisory Council member), who actively participated in the UN’s SDG stakeholder process. The video transcript for the first SCC webinar on SDGs is available here. 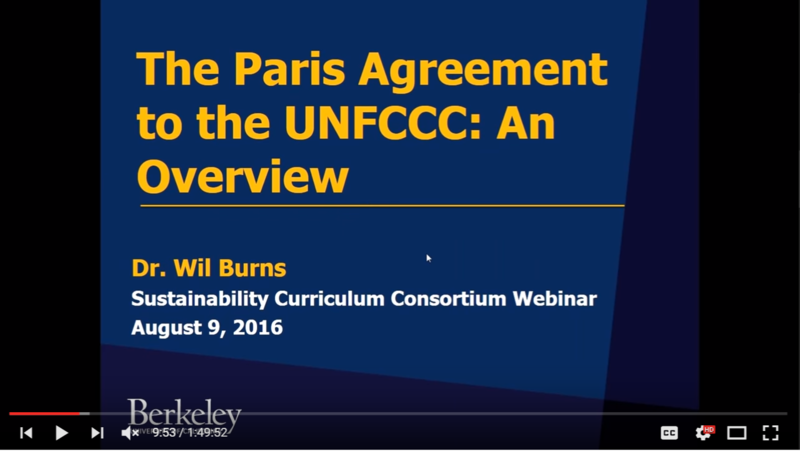 The second webinar (held Tuesday, August 9) covered elements of the Paris Climate Agreement. Presenters included Mark Trexler (Climatographers); Wil Burns (the Forum for Climate Engineering Assessment and past president of AESS); and Don Brown (Widener Law School). Selected topics included: the role of business and industry; geoengineering; mitigation, adaptation, and loss & damage; and climate ethics. The video transcript for the second SCC webinar on SDGs is available here. The third and final webinar (held Tuesday, August 23) featured Debbra A.K. 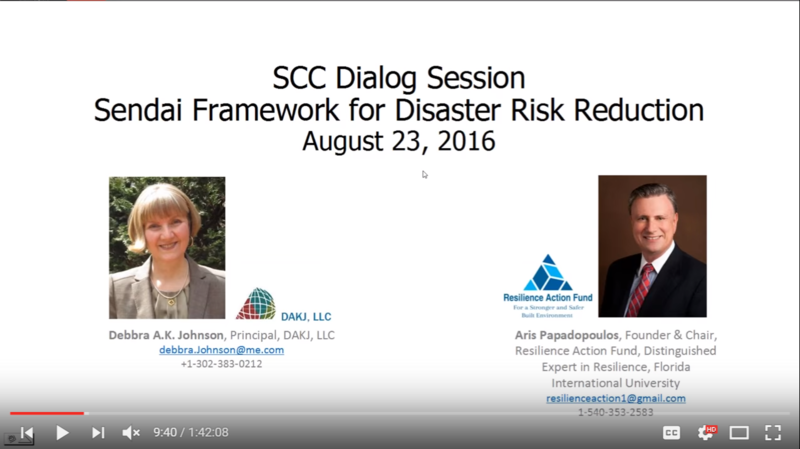 Johnson (DAKJ, LLC and SCC Advisory Council member) and Aris Papadopoulos (founder of the Resilience Action Fund), both leaders in ARISE: the Private Sector Alliance for Disaster Resilient Societies, explained the basics of the Sendai Framework on disaster risk reduction and its relevance to broader sustainability and resilience issues. Debbra and Aris emphasized the linkages between all three components of the 2030 Development Agenda, which, taken together, can serve as a comprehensive game plan for sustainable development. The video recording for the third webinar is available here. 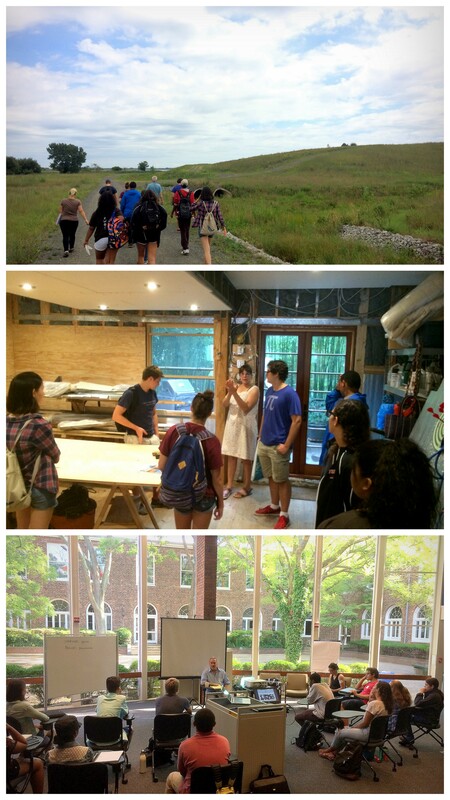 The Sustainability Curriculum Consortium (SCC), in partnership with the Environic Foundation International (EFI), convened the Sustainable Societies Academy™ (SSA) for a one-week pilot at Poly Prep in Brooklyn, NY this August. This program provided talented NYC-area high schoolers having a demonstrated interest in sustainability with a university-level experience with university-level faculty – all SCC Advisory Council members. See full details and a recap of the successful pilot of SSA at the SCC website. 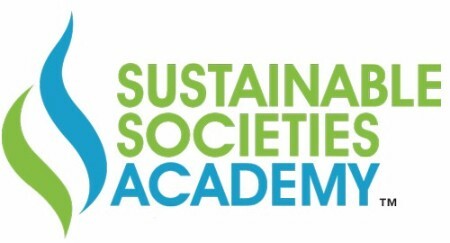 SCC is now recruiting Sustainable Societies Academy™ (SSA) host schools on a regional basis for Summer 2017. To learn more, email: curriculumforsustainability@gmail.com. As we enter Fall 2016, SCC is pleased to announce the expansion of its Advisory Council to include four additional members. All Advisory Council members are leaders and innovators in the education for sustainability field who share SCC's belief that it is time to elevate the role of curriculum and faculty development in the ESD space. All members of the SCC Advisory Council serve in their individual capacity on a voluntary basis to advise SCC's Leadership and to advance the mission of organization. See the full SCC Advisory Council. Peter Buckland works on academic and outreach programming at Penn State’s Sustainability Institute and is an affiliate faculty in Educational Theory and Policy. 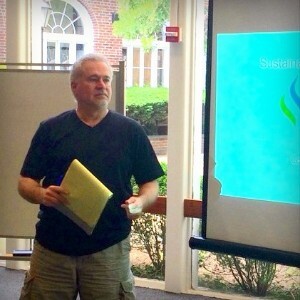 He curates The Field Guide to Teaching Sustainability, coordinates special programs and presentations for sustainability, and teaches courses in sustainability, education, and leadership. 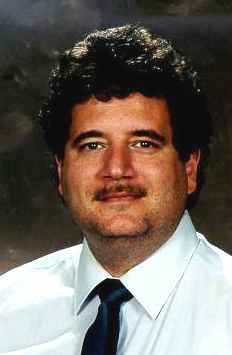 Peter has communicated widely on sustainability, environmental issues, education, and music in popular and peer-reviewed press including The International Journal of Ethics Education, The Journal of Educational Leadership, Policy, and Practice, and Reviews of the National Center for Science Education. Currently, Peter is working on the further development of The Field Guide to Teaching Sustainability as well as his interests in climate change communication and education, sustainability education praxis, and ecofeminist care ethics for teaching sustainability problem-posing. 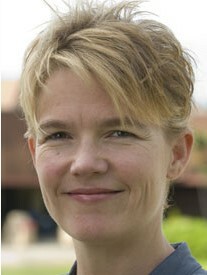 Dr. Krista Hiser currently serves as the sustainability curriculum coordinator for the ten campuses of the University of Hawaii system. Previously, as the Faculty Outreach Coordinator at Kapi’olani Community College, Krista facilitated the connections between faculty, and Service-Learners and community partners. She organized events such as Service-Learning Faculty Field Trips, Sustainability Institutes, and Faculty Institutes and she was a main contributor during assessments. Her passion for sustainability, service, and education was described as "the perfect ingredient" for the Kapi’olani program. Krista was awarded a Regents Medal for Excellence in Teaching by University of Hawaii, recognizing faculty members who exhibit an extraordinary level of subject mastery and scholarship, teaching effectiveness and creativity and personal values that benefit students. Dr. Michael A. Reiter is Professor of Environmental Science at Bethune-Cookman University, where he serves as Chair of the Department of Integrated Environmental Science and Director of the B. J. Moore Center for Integrated Environment Dr. Reiter is also a principal developer of Combined Ecological-Societal Systems Modeling and the Integrated Assessment and Ecosystem Management Protocol, a combination that meets the need for a truly integrated ecosystem management method; he has received multiple university and national awards for his teaching and research. He is a past President and Counselor for the Interdisciplinary Environmental Association, Associate Editor for the international journal Interdisciplinary Environmental Review, and co-chair of the Sustainable Human and Environmental Systems Roundtable, a growing effort to establish proposals for the development of interdisciplinary and higher-order environmental courses and programs in colleges and universities. His goal is to emphasize the importance of making scientifically informed, broadly based decisions concerning present and future environmental concerns, and to help ensure that such broadly trained individuals exist in the near future. 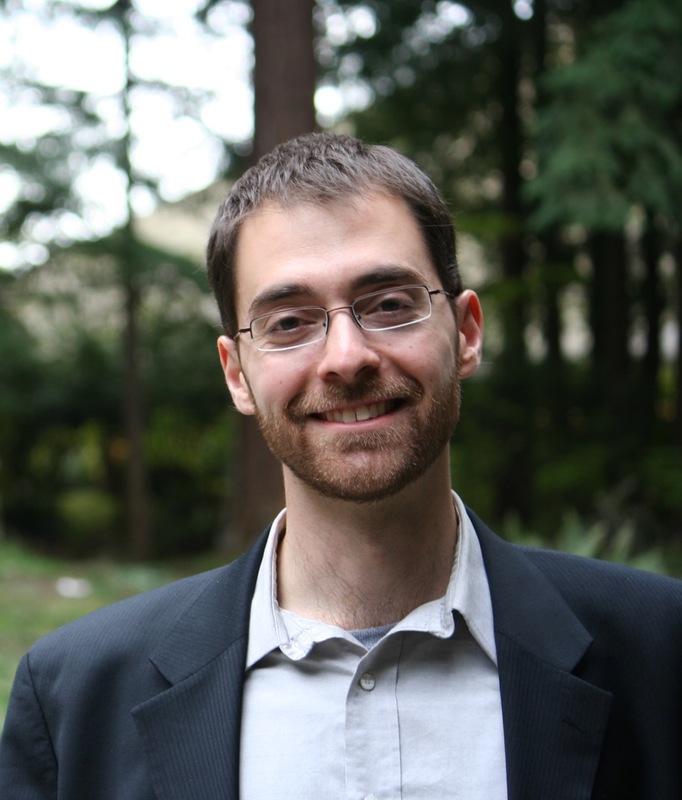 Erik Assadourian is a Senior Fellow at the Worldwatch Institute. Over the past 15 years with Worldwatch, Erik has directed two editions of Vital Signs and five editions of State of the World, including the 2013 edition: Is Sustainability Still Possible? and the upcoming 2017 edition: EarthEd: Rethinking Education on a Changing Planet. Over the years, Erik has written many articles, most of which can be read freely here. 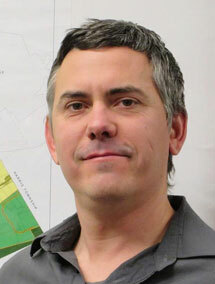 Erik also directs Worldwatch’s Transforming Cultures project, and designed Catan: Oil Springs, an eco-educational scenario for the popular board game Settlers of Catan. Over the past few years, Erik has also been working to produce Yardfarmers, a reality TV show that will follow six Millennial Americans as they exit the consumer economy to live with their parents and become sufficiency farmers. He is managing editor of the US hub of FUTUREPERFECT, and an adjunct professor at Goucher College. We expect this session to be heavily interactive and a great opportunity for you to share insights and experiences with colleagues who - like you - are thirsty for advice and support on curriculum and faculty development topics. We are eager to meet the many participants in SCC activities this far, so please attend and introduce yourself! We have included you in our distribution of this SCC Update because we have identified you as a leader in higher education for sustainability. Many of you have either attended one of our sessions or spoken with us about curriculum and faculty development issues at recent sustainability in higher education events. We believe institutions and their academic leaders must address the professional development and curriculum development needs of a dynamic, diverse, and intellectually rich community that is being called to step up to serve the greater global good. Moreover, we sense that despite institutions’ best efforts to embrace sustainability, curriculum development and faculty professional development have lagged behind other initiatives such as carbon/climate impact reduction, environmentally responsible purchasing, and campus greening. We hope that if these messages resonate, you will join us and our partners as we proceed with a range of focused and responsive activities to advance the curriculum and faculty development state of play. Your views on the greatest challenges facing sustainability educators will continue to inform our path forward. 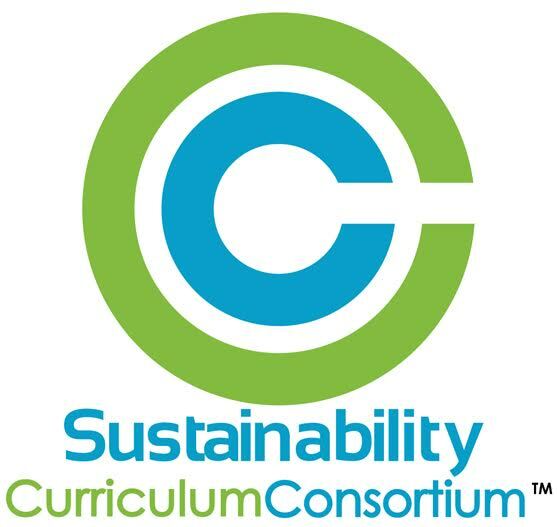 Copyright © Sustainability Curriculum Consortium (TM) All rights reserved.